On the second day of Christmas, my true love gave to me… two files that have been versioned. Okay, we’re ready to get into the nitty-gritty of using Git. On our “first day of Git,” in Learn Git over the Holidays, we created a folder for an app called santa-tracker and initialized a Git repository in that folder. That folder, and the accompanying repository are currently empty. 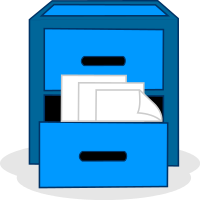 Today, we are going to create a couple of files and then add them to the Git repository. I thought I’d do something fun for the holidays this year. To help people learn Git, I’m writing a super-simple introduction to Git, one day at a time, over the course of 12 days. Never remove anything from your .gitignore file! Here is a quick programming story with a simple moral. The moral is: don’t try to keep your codebase so lean and clean, that you actually re-introduce a problem you’ve already solved. In particular, never remove anything from your .gitignore file! Continue reading Never remove anything from your .gitignore file! Posted on July 6, 2015 January 2, 2016 Categories Programming, Web DevelopmentTags gitLeave a comment on Never remove anything from your .gitignore file!